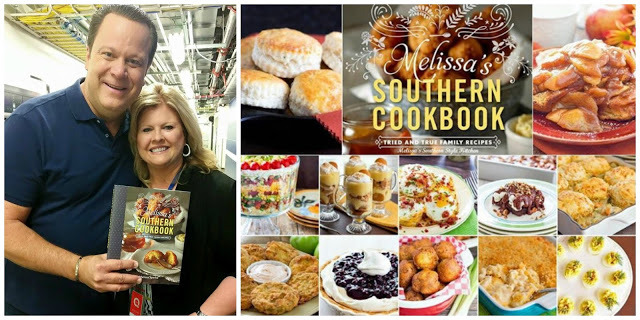 Excited, overjoyed, happy and giddy are just a few of the adjectives I could use to describe how I feel about the launch of my friend, Melissa’s cookbook. One of the best reasons I’m so thrilled for her is because even though she put in long hours, tested and retested recipes, writing this book has been a dream come true. 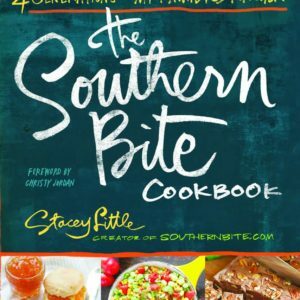 Based on the recipes from her hugely successful blog, Melissa’s Southern Style Kitchen, my girl has picked her best of the best dishes and is sharing them in one great collection. This beautiful book has over 100 recipes for entertaining, big family breakfasts and quick & easy dinners. 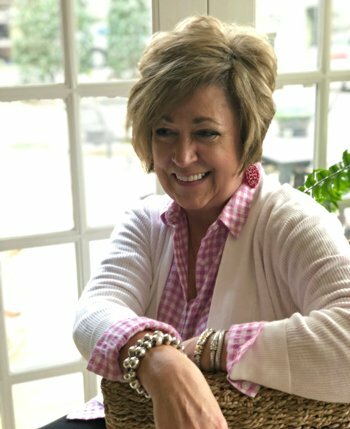 Like so many of us, Melissa learned to cook from her grandmother and mother and her love of food, cooking and family shines through with her recipes. I had the privilege of getting a sneak peak at Melissa’s book when she asked if I’d like a copy to review. Of course, I jumped at the chance! When my book arrived, I had my trusty sticky notes ready and started marking all the recipes I wanted to cook. 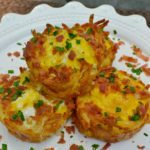 One that jumped out right away, were these awesome, ham & egg hash brown cups. My family loves breakfast, so I knew I had a hit on my hands. 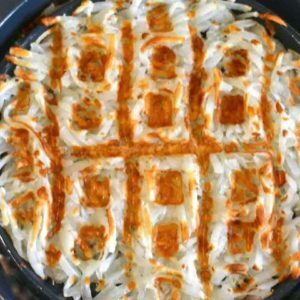 This recipe is simple and can be customize to your liking. 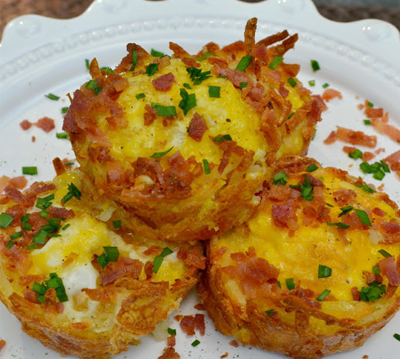 I’ve made these little nests at least 4 times recently and they are perfect for breakfast, a quick snack or as a light lunch with a green salad. I’ve learned my guys love them so much that I make extra, so they can just pop them in the microwave, heat ’em up and eat ’em! After all this talk about food, I’ll share just a little bit about Melissa. Even though we haven’t known each other very long, we’ve become fast friends. 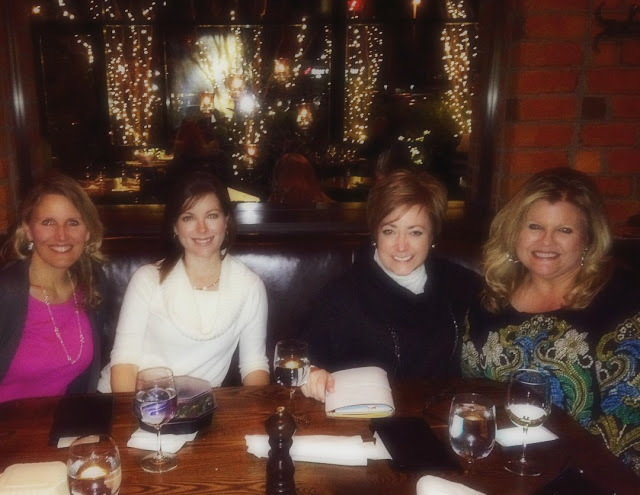 Strangely enough, we met through blogging and didn’t even know we lived in the same town! After several texts & emails, we found out just how much we had in common. We shared stories of our upbringing, how we learned to cook from many incredible women in our lives, and talked about our faith and love of family. Melissa has been a great encourager to me and a tireless listener when it comes to my questions about blogging. I guess I wanted to share this because I’m so happy for my friend plus you just never know how one unexpected encounter can develop into a wonderful friendship. 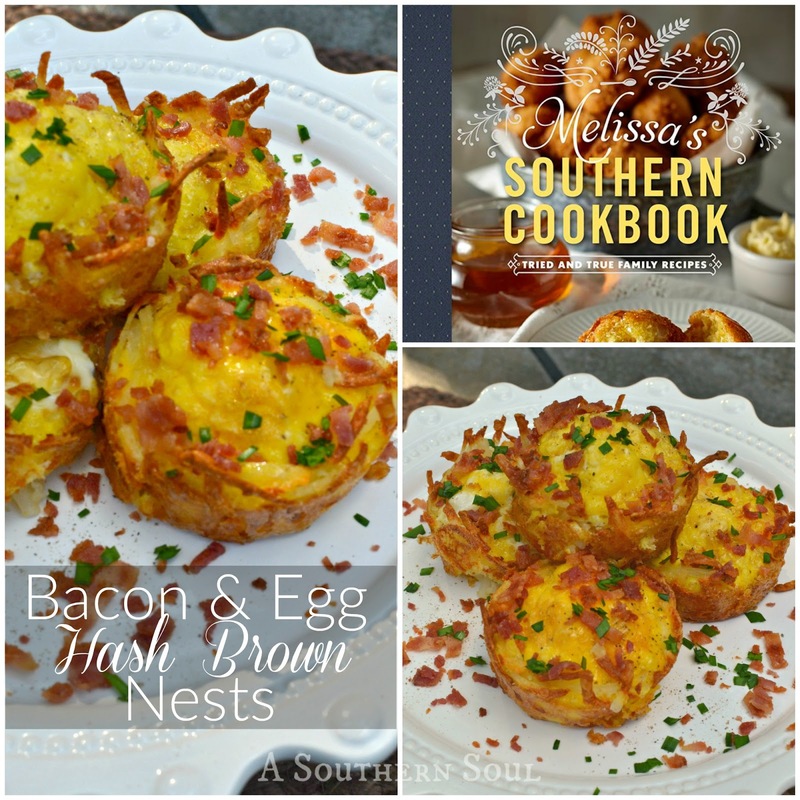 So that everyone can have a chance at making these wonderful dishes from Melissa’s Southern Cookbook, I’m giving away copy to one lucky reader! Just register in the giveaway below and leave a comment to be eligible. You can also purchase a copy at Barnes & Noble, Amazon and QVC. 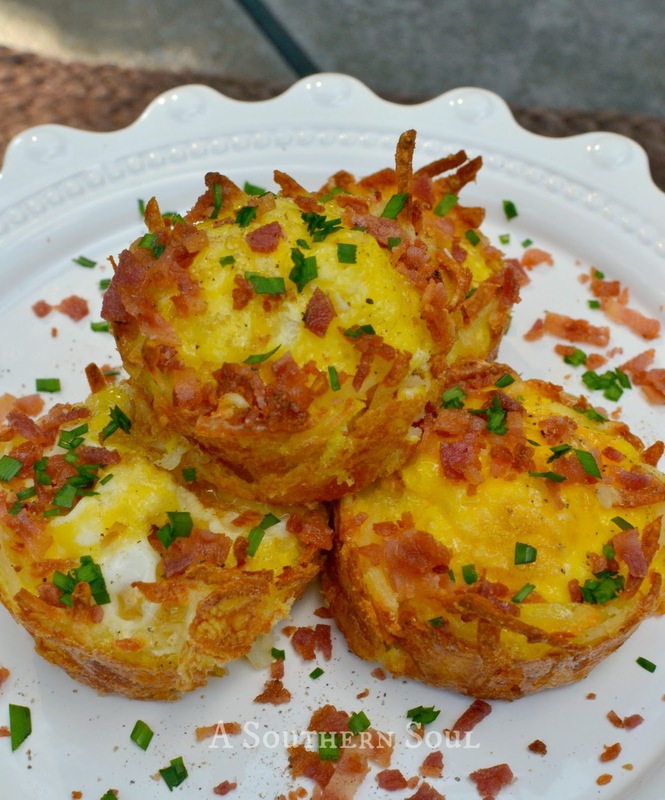 Breakfast, lunch, or snack, these Bacon & Egg Hash Brown Nests are the perfect dish. Heat oven to 450 degrees. Liberally spray cups of a standard 12-cup nonstick muffin tin with cooking spray. Set aside. In a medium-size mixing bowl, stir together hash browns, Colby-Jack cheese, Parmesan cheese, garlic salt and pepper. Mix until ingredients are evenly distributed. Divide mixture evenly above the 12 muffin cups. Press firmly into the bottom and sides of the cups. Place tin in oven and bake for 20 minutes or until lightly golden brown. Lower oven temperature to 425 degrees. 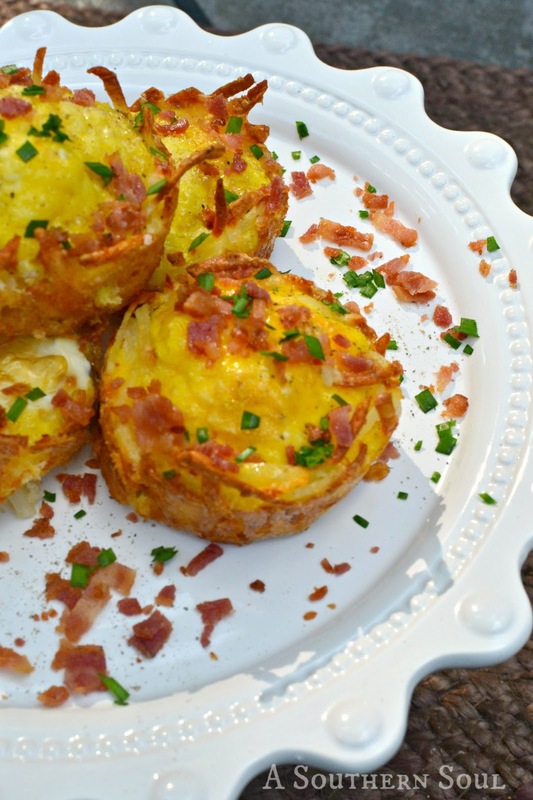 Remove the muffin tin from oven and quickly crack one egg into each nest. Season eggs with salt and pepper and return to oven for 12 to 15 minutes or until edges of eggs are cooked to your preference. Gently loosen edges of nests with a knife and let rest for 5 minutes before removing from muffin tin. Carefully transfer nests to a serving platter. 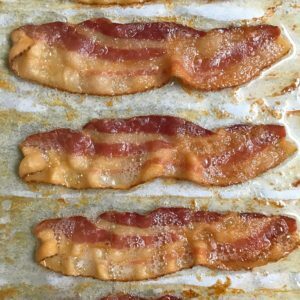 Sprinkle with crumbled bacon and chives. I cracked the eggs into a bowl and beat until white & yolks were blended, then poured over the cooked hash browns and finished per recipe instructions. This is due to the fact that my boys prefer scrambled eggs. These look great! Thanks for the chance to win the cookbook! Good Luck Julie! Thanks for stopping by. Love you, friend and your cookbook! It's been so much fun cooking and sharing your recipes. I have been wishing for this cookbook. Thank you for doing this giveaway. Love to try the cookbook. Looks amazing. Oh how awesome to get this chance to win your recipe book!!! I love your site and your recipes! Thank you so much for your giveaway!